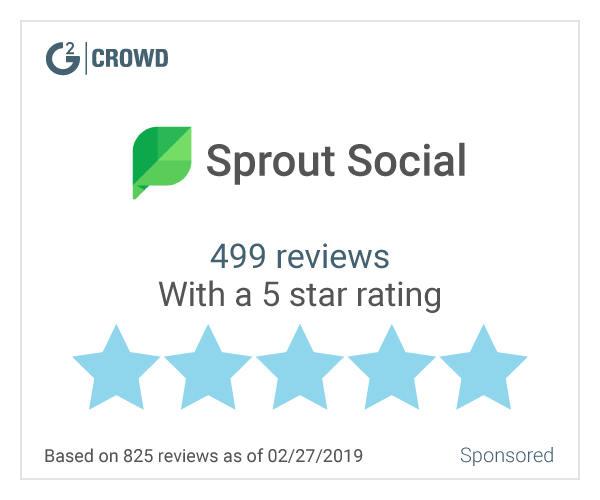 With GREMLIN SOCIAL, businesses can efficiently manage LinkedIn, Facebook, and Twitter profiles, monitor social media team activities, and filter sensitive keywords to ensure a professional, compliant social media presence. The ease of implementation of the platform. The Gremlin Social team was very helpful and on point with my needs. I would like to be able to upload more photos than the system currently allows. Gremlin Social has been an incredible group of people to work with. Their platform accomplishes what I need as far as satisfying our compliance requirements. The platform is very user friendly and if I ever get stuck they are always at the ready to help me. Gremlin Social has been a great tool for my team to use to post to our social media platforms and for both compliance and myself to moderate the activity. The ability to parse and filter keywords--especially for social media platforms. The ability to organize a workflow process to notify appropriate personnel. The ability to stay in compliance with regulations and avoid violations. Not a dislike, rather an improvement and enhancement to existing communication channels. I think you would be hardpressed to find another social media management company that can provide the value and quality of Gremlin Social. From person-to-person, business-to-business, it's easy to vouch for Gremlin Social and tangentially speaking an endorsement from the American Bankers Association. Ease of social media information dissemination. The necessary process of approval that isn't clunky. Benefits are data analytics, team communication, and efficiency. "Easy social media management with compliance and regulation in mind." Gremln allows us to manage our corporate social media sites and sales staff sites in one spot. Gremln also allows us to include compliance in our workflow making it easy for marketing and sales to work with compliance. Last, but definitely not least, we have received excellent customer service from Gremln. The biggest advantages with Gremln is the ease of posting to our social media sites while seamlessly including compliance in the process. I would like to see Gremln offer better reporting from Facebook and Twitter. However, we get all the data we need from our monitoring software. We primarily use them for publishing, archiving and to facilitate the workflow to send through compliance. This company does a great job of on boarding and continued customer service. They don't sign you up and leave you hanging out to dry. Our customer service rep is very attentive to our needs and gets back to us in a timely manner. Since I am in the banking industry, we have to make sure our social media presence is compliant. We needed a software that would allow us to manage our social media while including compliance in that posting workflow. Gremln also allows us to satisfy the archiving requirements by regulators. "Gremln is a great time saver, and an easy to use platform"
Gremln is very easy to use and navigate. It is a huge time saver to be able to post to multiple channels while staying in one program, and not switching between them all. The ability to have multiple users who can approve content before its posted is also really helpful due to compliance on our end. The dashboards are really helpful as well, because again you don't need to log in to every platform. You can do it all right from one spot. The brev.is tool is also a huge help! makes it easy to shorten the web addresses without having to move out of the posting tool. Lastly, having the reports and analytics feature is great. the reports available to choose from are great - they measure just about everything that you would need to be able to track what is important you and your business. I wish that other social media platforms were accessible, like Instagram, but I know that is something they cannot control. Do it! Call them for a demo, you will be impressed! We are a bank who utilizes social media to reach out to our community to highlight things we have done to contribute all our local business partners. We are also able to reach consumers and businesses alike from outside our initial footprint of 5 towns. The benefits would be driving customer interactions and in turn foot traffic to the branches. "Excellent platform, especially for teachers"
One of the best features for me is that I have access to almost all of my social media accounts from ONE page; they are easy to access, aren't cluttered all over, and most importantly, Gremln isn't blocked on most school sites yet! The free account is very very basic; it'd be nice if they offered an educator discount or program, which currently they do not per-say. A business or upgraded account would be too expensive for my teacher's budget. I'm also disappointed because I have been using Gremln since beta, and had a "grandfathered" basic plan that now doesn't exist. However, after updating and removing some social media accounts to make room for different teaching accounts, Gremln removed my "grandfathered" status and decreased the number of account pages I could use. Not cool. Try a basic account before taking the leap to a paid one. As an educator, it's great to be able to schedule posts for different social media sites! It's difficult as a teacher to find ways to post to social media for work and school related projects when the filters keep us out! However, currently most school sites I have visited do not block Gremln. I am able to update my Twitter, Facebook, and other accounts for work related projects quickly and easily. For me as a teacher, this is fantastic because it allows me to schedule posts that keep my students engaged and updated. "I am using Gremln to manage four twitter accounts and more"
I am using Gremln to manage our company's three twitter accounts, my personal twitter account, facebook page, linkedin company page and more. It saves a lot of my time. If I need to post a tweet or news for all these accounts, I only need to login gremln and do once and I am done. I also like the schedule function. You can schedule the tweets to send out at the time you wish. The only complain I have is that when I want to find someone new( I haven't followed yet) in twitter and I have to go to twitter.com to do. I am not sure it's because I haven't figured out the function or gremln doesn't have that function. "A Top Tier Social Automation Tool"
I love the ease of use in setting up accounts, scheduling posts and interacting with other accounts in the software back end. Very intuitive and robust. I dislike that the image attachment feature when posting with links is sometimes glitchy. Doesn't seem to work right every time. I say use it if you are a large scale financial institution that has many field reps, advisors or other employees that will need to have their content run through compliance. Solving the need to reduce headcount by automating the social posting tasks across my client portfolio. I am seeing a higher ROI and more productivity. "User friendly social management tool"
We are able to broadcast articles we want to get extra coverage and attention or contests and have them repeat for a set amount of time until the contest ends. We can put an end date on most recurring messages unless the article truly is something we want to broadcast forever. Sometimes we can use this just to broadcast our favorite affiliate products/links and let this automation do some of the selling for you. Gremln also supports team members so you can have a staff manage the same Social Media accounts and work together in a coordinated group effort. "Why I recommend Gremln for every business owner "
What I love about Gremln is that it is designed to meet small business owners needs at a realistic and affordable price. Prior to Gremln, I spent twice as much time trying to keep my marketing organized, updated and scheduled. The biggest problem was sorting through the apps I used to stay on top of things. Gremln solved that problem by putting everything I needed in 1 place. I've been with Gremln since it's beta testing days and a happy customer ever since. My company, GiGi Capone PR integrates the Gremln with all of our online advertising and we use it for our clients too! There is very little if anything to dislike, but I would like to see a few new added features like a fake profile checker ( they tell you real follower vs. fake follower ratio), Youtube analytics and a way to measure fan and link engagement. I see these as necessary so that companies don't have to look outside gremln for what they need. Now that I have Gremln, there are very few social network management problems I need to solve. The benefits of Gremln are many, but the biggest 2 being time management and the ability to turn a profit from it. "Solid Social Media Management Tool"
It is extremely easy to set up and 'get going.' Literally can link to Twitter, Facebook and LinkedIn accounts with a few clicks and about 2 mins. Additionally, scheduling social media messages is easy and the scheduling feature is a must for agencies. Nothing stands out as a 'dislike,' yet. It is a basic platform and isn't too robust but it also doesn't pretend to be something it isn't. This is a relatively easy social media management tool, especially for smaller companies and/or boutique PR, Marketing agencies. Social Media Management. Using one platform to publish across networks is a great time saver. "It has been very user friendly"
I like that I can access all my social media and post on all my facebook pages at once. It is also great to see the analytics on our posts and pages. That it has to be linked to a personal facebook account. Not a big deal though. Mostly convenience for my managers to post on all pages at once to save time. We have realized certain posts/times do better for us that others. "Great social media tools for compliance"
The compliance tools are great. There's a lot of competition in this space, but Gremln seems to have carved out a solid niche for itself for regulated industries. The link shortening/measuring tool, Brevis, is really sharp, too. I haven't really found anything negative yet. I have yet to find any software products that don't have an occasional tech hiccup, but aside from that, no problems. Multiple account management is a big thing for me. Gremln makes it pretty easy to see them all side-by-side and to keep them all straight when publishing. Gremln's trackable links track every single click. As opposed to other trackable link shorteners that limit your transparency to unique clicks, Gremln gives a comprehensive view on how many times your link was shared. As a social media marketer, that is invaluable information to me. Would love to see integration with G+ and Instagram! Definitely recommend if you are in an industry with compliance issues such as healthcare or finance. "Great social media management tool! " It's user-friendly, reliable, and I love being able to filter various key words and hashtags in the easy-to-navigate panels. So much easier to engage in conversations with our fans and patrons! "Great option for businesses requiring compliance rules"
Filter and monitor keywords and phrases that team members are unable to use. Love the panel dashboards and customizable views to show you more or less information. The link shortening options are great. Auto-population on Twitter followers would be great. I use it personally. It's great for managing my accounts! Another, easy to use, social media management tool. What I like is that you have more options then just the typical Facebook, LinkedIn, and Twitter. you can also tie in bitly and a few others. Real easy to use and response time is great. This one is worth adding to your list to test out if you are looking for a social media management tool. Real easy to use. Ease in posting to multiple fan pages and ability to track response rates to posts. Not very user friendly. Tricky to navigate and set-up. We are solving how to post to multiple fan pages in one shot. This program makes it much easier. * We monitor all Gremlin Social reviews to prevent fraudulent reviews and keep review quality high. We do not post reviews by company employees or direct competitors. Validated reviews require the user to submit a screenshot of the product containing their user ID, in order to verify a user is an actual user of the product. Hi there! 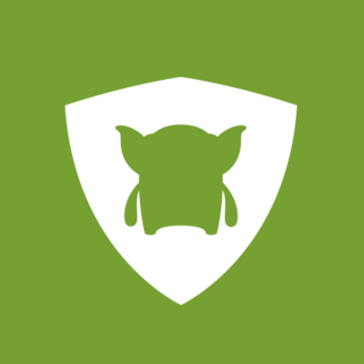 Are you looking to implement a solution like Gremlin Social?